Many people are unaware that the government does not require a surgeon to be specifically trained for particular surgeries. This tends to happen in the area of cosmetic surgery because it is profitable and surgeons can perform procedures with having little to no experience. For your safety and cosmetic needs, it is best to find out if the surgeon you will be working with is board-certified. The American Board of Facial Plastic and Reconstructive Surgery, has a dedicated group that ensures cosmetic surgeons to be educated, trained and certified for cosmetic procedures. Finding out if your surgeon has this certification not only shows you that they meet qualifications, but that they are knowledgeable and experienced as well. An exceptional board-certified plastic surgeon knows that every detail matters. They know that any move, down to a millimeter, can change the results of a patient’s procedure. A surgeon with meticulous and refined skills, comes with expertise in certain surgeries. Knowing that the surgeon you are going to work with has performed many surgeries and has had multiple patients satisfied with their results, is a great choice. Ask your surgeon to see before and after pictures and other questions dealing with their expertise in Rhinoplasty. 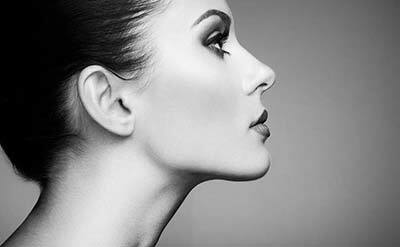 Finding a Rhinoplasty surgeon that listens and understands your wants and needs is important. Along with communicating with you on your procedure and expected outcome, a great surgeon will let you know how realistic your wants and needs are. If something is not safe or the best option for you, they have the ability to develop a treatment that will be right and specifically for you. Having the sense that you are being treated fairly and kindly by the staff and surgeon will help you choose the right surgeon. Reading past reviews online about the service and staff is very helpful. Observing how other patients are being treated around you and paying attention to how you feel when interacting with the staff and surgeon can tell a lot too. An overall feeling that you are a priority, cared for and given all information that is needed can make the experience enjoyable and stress free. Knowing the accreditations of the operating facility is crucial to your safety during any procedures. Find out where the surgeon will perform the Rhinoplasty and look for AAAASF or JCAHO operating facility certifications. Also know about your anesthesiologist and his or her qualifications. You are looking for a Certified Registered Nurse Anesthetist or a Board Certified Anesthesiologist. This is to ensure your safety during the procedure.